We have moved on from San Francisco and we are now with good friends Rob and Annie in Boulder in Colorado. Saturday was a travel day. Sunday we had a leisurely walk to the J Wells Brewery and a jolly nice stout. Today we went snowshoeing in Rocky Mountain National Park, a bit south of Estes Park. It was good to stretch the legs with the 9 mile walk but it would have been better if we had a view rather than just trees. 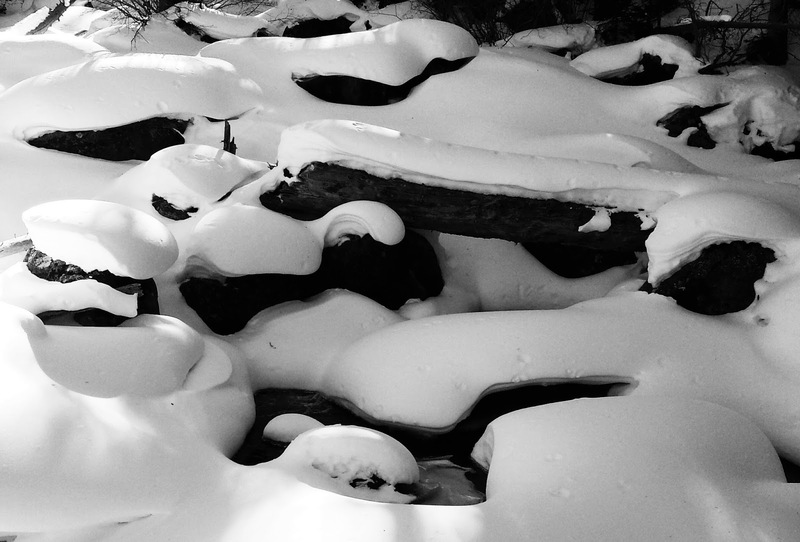 Not as cold as we expect in January, the rivers are still flowing but some nice snow shapes for photos. Not a lot of sunshine in the trees though, just a peep show every now and then. We ended the day in Oskar Blues Brewery in Lyons followed by the Mountain Sun Brewery in Boulder for a couple of Java Porters, my favourite porter! Tomorrow we go skiing at Keystone and at Breckenridge later in the week.